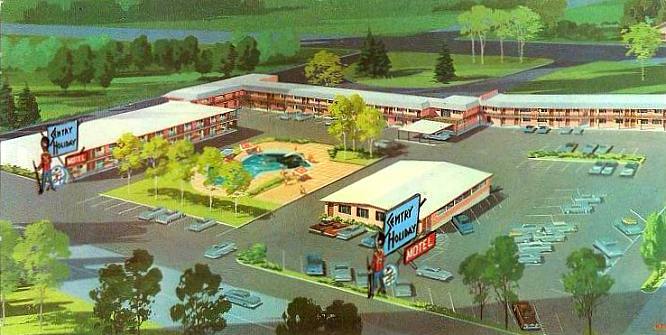 The Holiday Motel was opened in 1954 by Eugene Billerbeck. 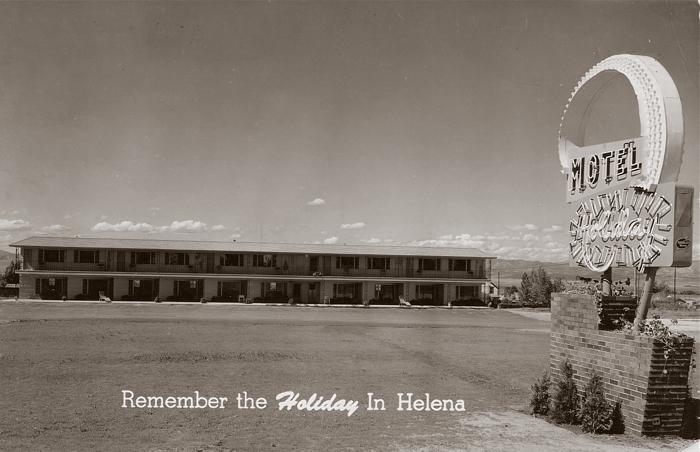 It was the first two-story motel in Helena (three stories, counting the basement parking area). Bennett Logan of Helena was general contractor. 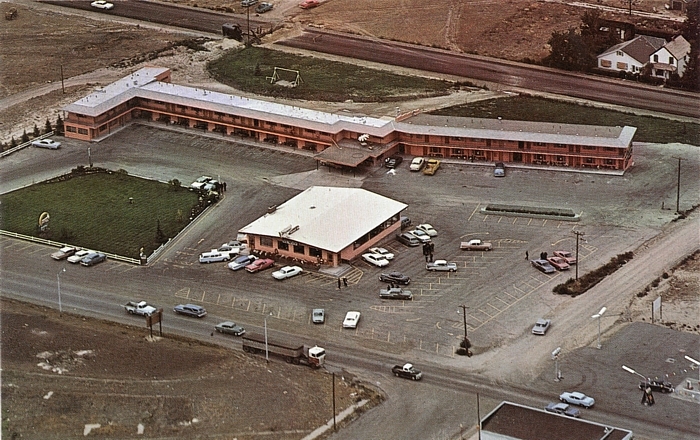 Several additions were added to the motel over the years. 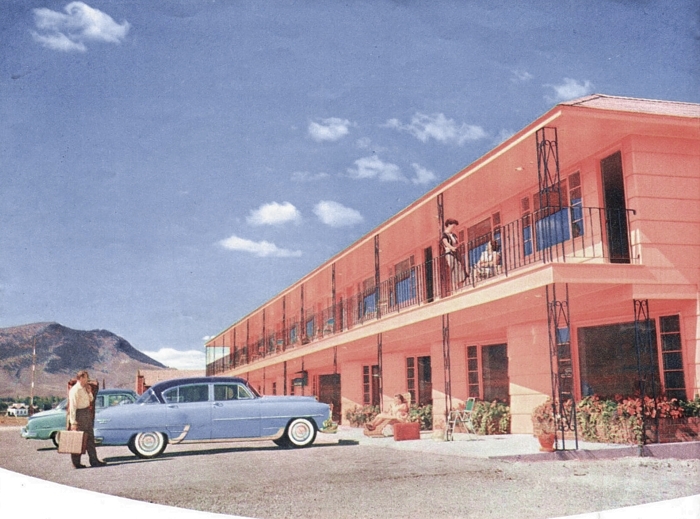 The original coral-colored buildings of the Holiday Motel are gone, but the enterprise lives on as Jorgenson's Inn and Suites. The attractive sign beside 11th Avenue had rows of chasing lights on the yellow arc, which would run up, over and down into the "Holiday", ending in a colorful neon splash. It was made by Bradley Signs. 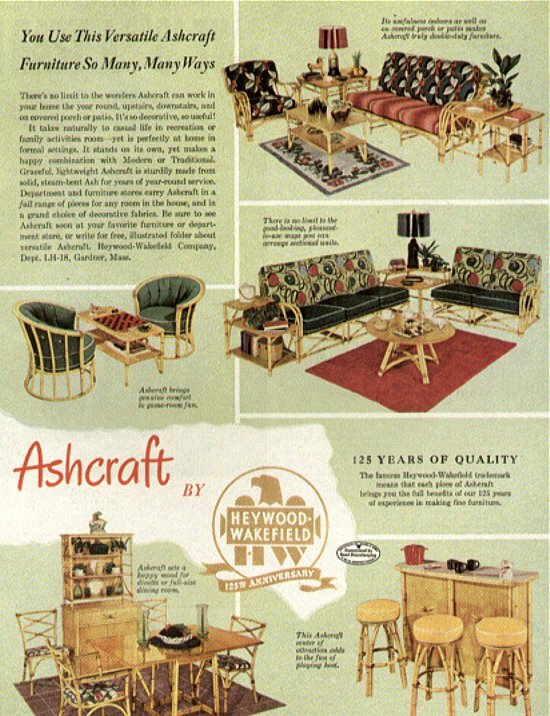 The Holiday Motel was originally furnished in Heywood-Wakefield's faux-rattan "Ashcraft" design. 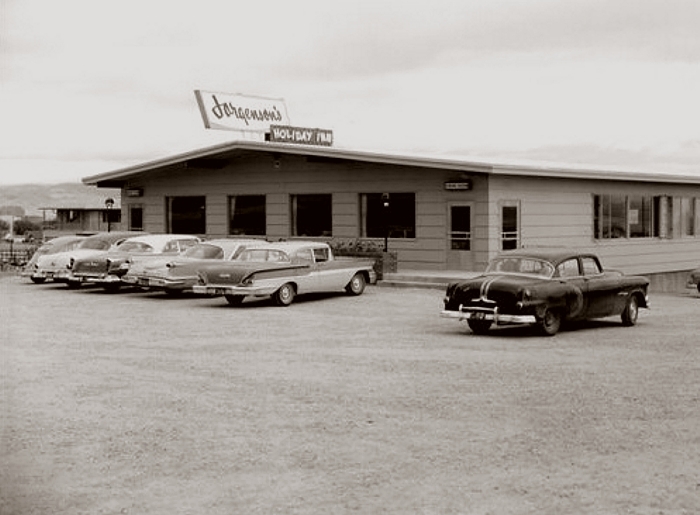 Jorgenson's Holiday Inn Restaurant opened in 1958. 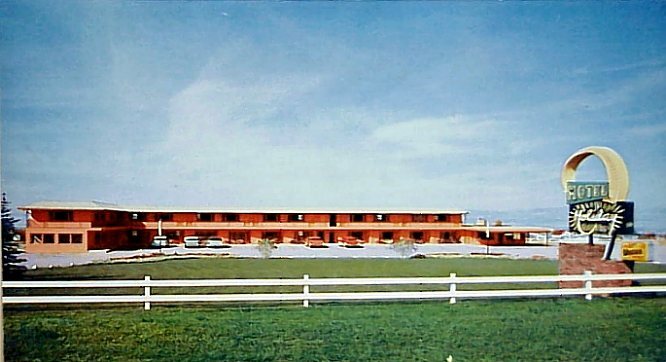 In 1964, an addition was built on the south side, where the planters are in this postcard view, for the Viking Room lounge. 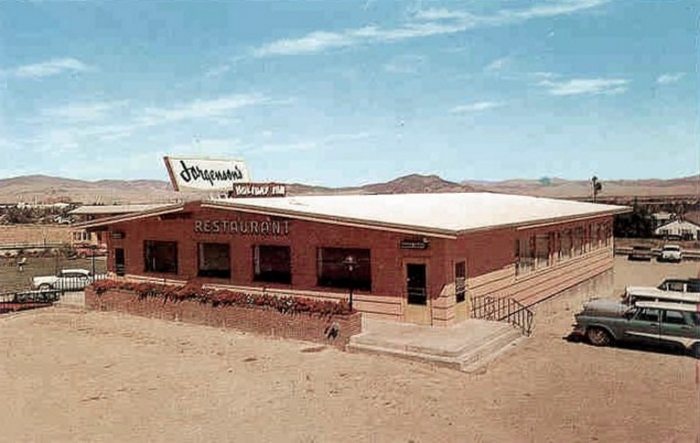 The restaurant is still in business. 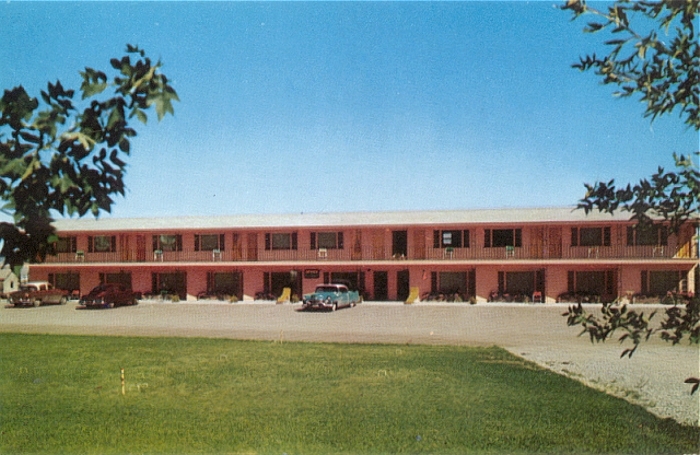 In 1962, the Holday Motel was purchased from Gene Billerbeck by the Sentry Motel Group, and plans were made for an expansion. A new addition was built, but there were financial and legal problems. 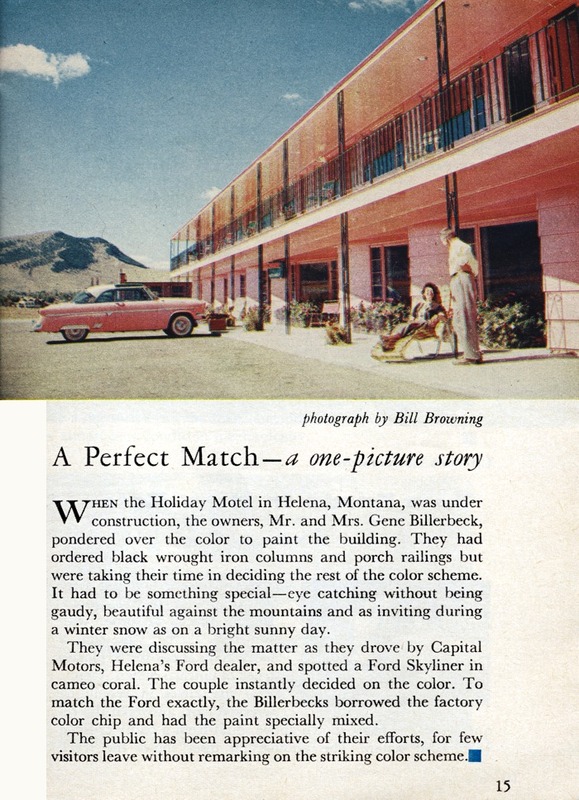 In December of 1963, Gene Billerbeck and several others bought back the motel. 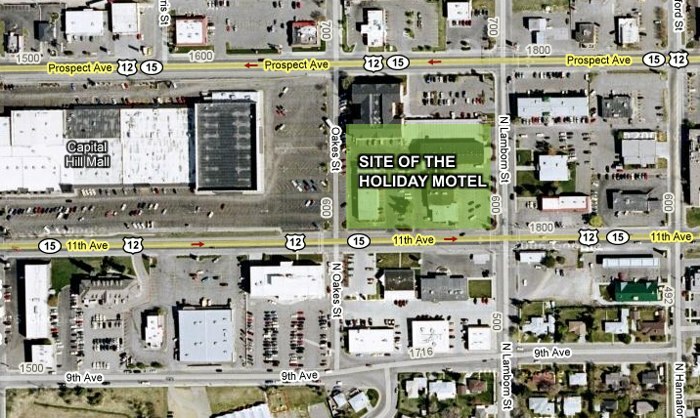 The original buildings of the Holiday Motel are gone, but the enterprise lives on as Jorgenson's Inn and Suites.